Read novel online » Reincarnation Of The Strongest Sword God » Chapter 421 - Did You Transmigrate? Reincarnation Of The Strongest Sword God Chapter 421 - Did You Transmigrate? Chapter 421 - Did You Transmigrate? Live combat was not without danger. It was especially true in a fight between experts; injuries were commonplace. Although the current medical facilities were top-notch, capable of healing a large majority of injuries very quickly, there were still some injuries that one could not fully recover from. Not even S-rank Nutrient Fluid could cure them. Moreover, martial arts masters were extremely rare; finding one was like finding a needle in a haystack. Hence, it was incredibly costly to invite martial arts masters to face each other in the ring. Even a martial arts master who had recently become famous would charge an appearance fee of over one hundred million Credits. This was in the case of an exhibition match, let alone an official match. Moreover, martial arts masters normally fought using internal force. Internal force possessed great power. Even if an attack containing internal force did not strike a vital point, it could still cause significant damage to the opponent. Regardless of whether they would win or lose, martial arts masters would not agree to fight one another if there without sufficient potential gain. Shi Feng’s grasp of internal force had already reached the standard of a martial arts master. Although he was not famous in any way, he would not undervalue himself. His price of thirty million Credits was quite reasonable. Shi Feng wouldn’t have even considered the compet.i.tion if it were not for his new flexibility. After all, injuries were no laughing matter. The higher-ups of Big Dipper must be dreaming if they thought they could get him to fight for free. This was why battles in G.o.d’s Domain were gradually replacing fighting compet.i.tions in the real world, becoming increasingly popular among the public ma.s.ses. Not only were the battles in G.o.d’s Domain safe, but players also had no scruples when they fought each other. Furthermore, players in G.o.d’s Domain possessed physiques that far surpa.s.sed their bodies in the real world. They could easily perform actions and combat techniques that were impossible in the real world. Take Void Steps for example. This footwork had already far surpa.s.sed what ordinary humans could accomplish. It was simply impossible to perform in the real world. However, it was possible in G.o.d’s Domain. A fight between ordinary humans just couldn’t compare to a fight between superhumans. If it were only a battle inside G.o.d’s Domain, Shi Feng might have agreed without an appearance fee. Manager Xiao frowned in the video, hesitation appearing in his eyes. Suddenly, however, a disembodied voice addressed Shi Feng. 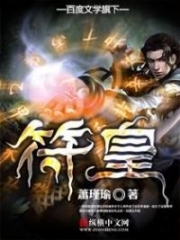 The other voice from the call was Xiao Yan’s elder brother, Xiao Yu, the true wielder of the power of Big Dipper. Xiao Yu then took over the call and spoke with Shi Feng directly. Although Xiao Yu and Xiao Yan had very similar appearances, after being the Chairman of Big Dipper for so long, Xiao Yu projected an aura of natural dignity and power with both his voice and demeanor. This aura made one unconsciously bow with respect before Xiao Yu. However, this aura of authority was useless against Shi Feng. He was not uncomfortable around this aura in the slightest. After Shi Feng and Xiao Yu set their appointment, the video call disconnected. “Elder Brother, Big Dipper has already spent a huge sum of money on nurturing the student fighters. If we spend another thirty million, it will have a ma.s.sive impact on Big Dipper’s future plans.” Xiao Yan looked at Xiao Yu skeptically. “I understand.” Xiao Yan helplessly nodded. Back in his apartment, Shi Feng logged into G.o.d’s Domain. “What is going on here?” Shi Feng could not help his surprise when he saw the scene before him. Furthermore, there were even more players currently engaged in combat, with five to six players dealing with a single Crimson-eyed Battle Monkey. The players fighting were all Level 20 and above, and they all possessed significant strength. Many parties here were far more powerful than the elite parties of Guilds. Originally, the White Fog Canyon had been a forbidden area for players. Now, however, it had become infested. Shi Feng was confused. He had only logged out of G.o.d’s Domain for slightly more than a day, yet, he was already so unfamiliar with the White Fog Canyon. Before Shi Feng could digest the information before him, a party of six approached him. Leading the party was a red-haired beauty geared with light-blue scale armor. The woman had a forthright appearance, and the body-fitting scale armor fully displayed her tall and slender figure. She was no less attractive than Zhao Yueru. This red-haired beauty was a Level 22 Shield Warrior, and the shield and one-handed saber hanging on her back were both Secret-Silver rank. The majority of her equipment was also Secret-Silver rank. Moreover, there was no sign of a Guild Emblem on her chest, so she was clearly an independent player. As for the others in the woman’s party, they were all at Level 21. Their equipment was also Mysterious-Iron rank and above. Overall, this independent party was stronger than even the elite parties from major Guilds. “Are you referring to me?” Shi Feng asked strangely. At this moment, he appeared as Black Flame. Although he kept his ID hidden, there was not a single soul in White River City who would not recognize him. However, this red-haired beauty had actually said to him “you should have some decent skill” and had even invited him to join them. “You’re funny. Who else would we be speaking to?” the red-haired beauty laughed as she pointed to the surroundings. She then continued, “Are you worried that we will go back on our word once the loot drops? Shi Feng could not help but laugh bitterly as he shook his head. He had guessed that none of them recognized him. Or, to be precise, none of them recognized the number one expert of Star-Moon Kingdom, Black Flame. As for matters like swindling equipment, Shi Feng was not worried whatsoever. In White River City, even an organization like Underworld would not get away with stealing loot. “You guys are not local players of White River City, right? Why have you come to White Fog Canyon?” Shi Feng asked curiously. “You’re right. We are not local players of White River City or Star-Moon Kingdom. We came from Beacon City of the Black Dragon Empire. However, that’s really not surprising though, right? Many of the parties here have also come from different cities and countries. Didn’t you know that? You're Read Reincarnation Of The Strongest Sword God Chapter 421 - Did You Transmigrate? online at NovelOnlineFull.com. You can use the follow function to bookmark your favorite novel ( Only for registered users ). If you find any errors ( can't read,broken links, can't load photos, etc.. ), Please let us know so we can fix it as soon as possible. And when you start a conversation or debate about a certain topic with other people, please do not offend them just because you don't like their opinions. You're reading Reincarnation Of The Strongest Sword God. This manga has been translated by Updating. Author(s): Lucky Cat. Already has 5027 views. Current Time is 25-Apr-2019 14:00:59 PM.